TheFox is the ultimate multi-purpose WordPress theme, brought to you by the best-selling PSD author on ThemeForest. Expertly designed down to every last detail, this is the smartest and most flexible WordPress theme on the market. Perfect for your agency, business, e-commerce store, blog or portfolio, TheFox multi-purpose, no coding WordPress theme comes with over 30 clean, stunning and intricately detailed pre-built home page designs to get your creative website project off the ground. From there, the possibilities are endless! TheFox gives you the freedom to dream big and unleash your creativity. Customization is as easy as drag and drop, with the awesome Visual Composer and our own custom modules, so you don’t need any coding knowledge to make this multi-purpose WordPress template your own. There are more than 250 design details for you to play around with, and every element can be customized. The powerful admin options panel gives you complete control, and every page and post has its own customization options. Even better, TheFox comes with a bunch of premium plugins worth $120! This includes the popular Revolution Slider and the awesome LayerSlider WordPress plugin so you can present your content, images or portfolio in effortless style, choosing from various configurations and effects. All sliders are touch screen compatible and your WordPress site is 100% responsive, so you can be sure that your site will look its best on all devices and work for users on the go. You can even add dynamic CSS3 animations, to really bring your pages to life! Whether you’re building a blog, portfolio, business or agency site, TheFox multi-purpose template has been designed with you in mind. This smart WordPress theme offers advanced blog, portfolio and staff/team member options so that you can define every aspect of the layout and user experience. As the smartest WordPress theme out there, TheFox even works for you behind the scenes, with SEO built right into the code, so search engines can easily index your content and make sure you get the traffic you deserve! The most important thing for us is that you enjoy our theme and get the most out of it. That’s why we are committed to outstanding support for three languages: English, French and Japanese. 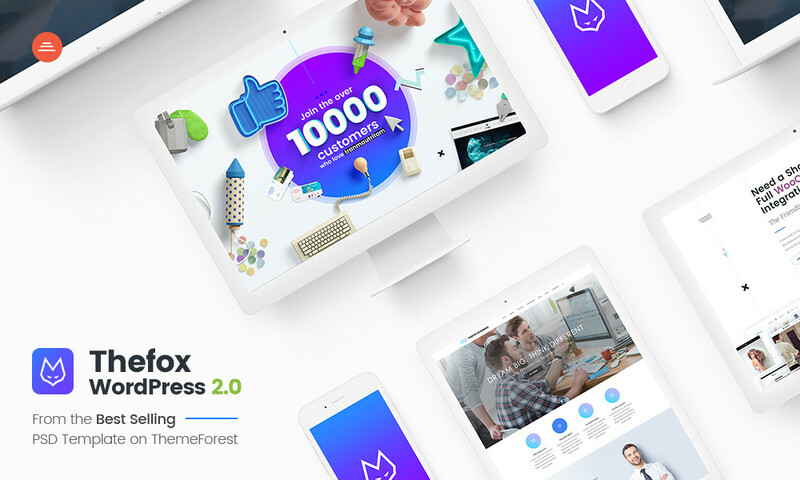 More than 2,200 satisfied customers are already enjoying the benefits of TheFox and consistently rate our customer support as the very best on ThemeForest. We even have our own Support Forum so that you can join our awesome community and get the support you need. We also guarantee regular updates for life: we are always adding great new features and functionality to improve this multi-purpose template, and to maintain its place as the best WordPress theme on ThemeForest. So how could TheFox help you to establish and grow your online business, brand or profile? Download today, join our creative community, and find out! Includes font icons – more than 10,000 retina ready icons included! $120 worth of premium plugins included! Multiple page templates (About Us, Services, About Me, Our Team, Team Member, Contact, Example pages, etc.) – Check the Live Demo to view them all. Display products based on category, SKU, sale, featured, newest, etc. 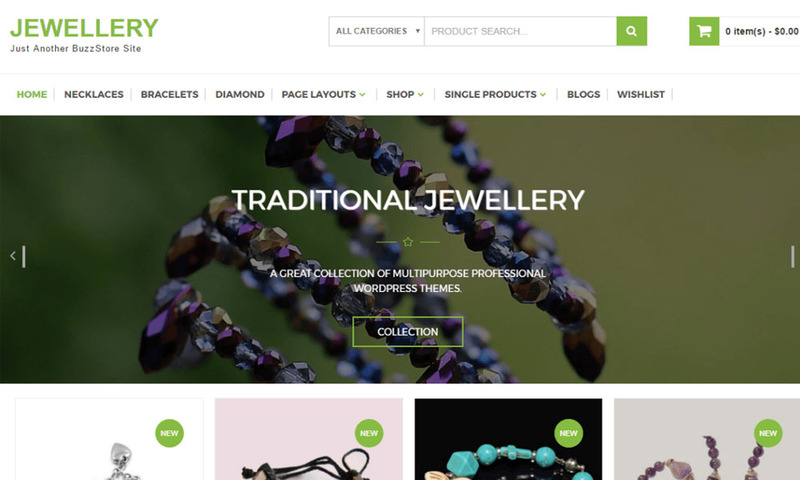 WooCommerce compatible with full design integration. Contact Form 7 ready with full design integration. Revolution Slider with full design integration. 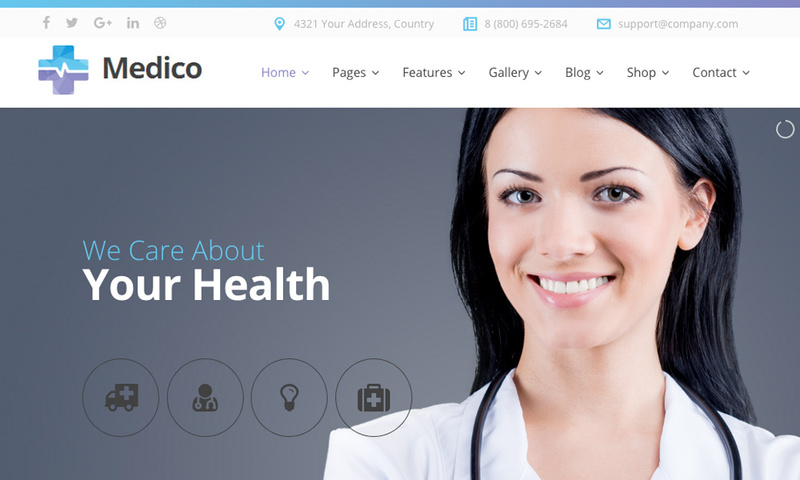 LayerSlider with full design integration. Assign any slider to any page or post. Show / hide header top bar. Show / hide page title and title bar. Custom title color and background. Show slider above or below header, and use transparent header per page. Choose left / right sidebar per page. 5 Layouts: Classic, Multi-author, Grid, Masonry, Timeline. All layouts can have left or right sidebar or be full width. 6 post types (video, audio, gallery, image, quote, standard). Create multiple blog pages and set custom categories per page using the blog module. Select a slider to show on blog page. Easy to specify the number of items per page. Choose pagination type: Classic / Load More button. Tons of options to add/remove data, excerpt, related post, etc. Create multiple portfolio pages and set custom categories per page. Select specific categories for each portfolio, fully customized. Set custom skills and tags for each portfolio post. Full width or half width post layout. Select slider to show on single portfolio post. Use images, slideshow or video. Create multiple member pages and set custom categories per page. Select specific categories for each member page, fully customized. Set custom skills and tags for each member post. 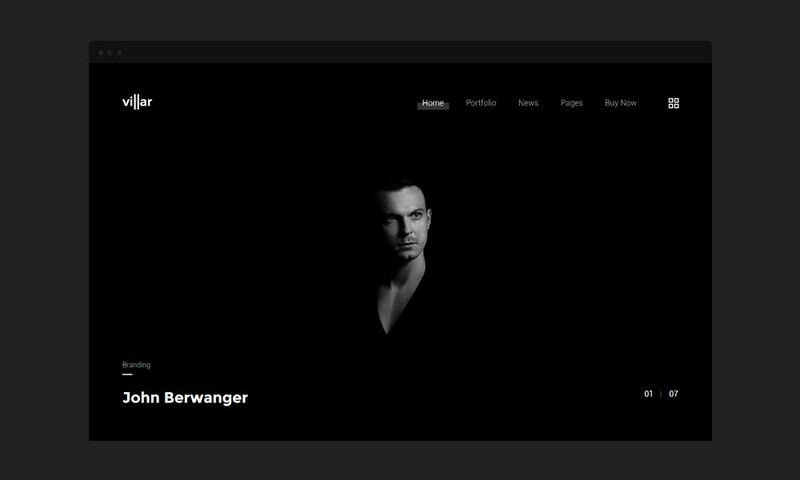 Single member page, fully customizable. Select slider to show on single member post. Social icons for each member. Customize each and every page easily. Option to use slider on every page. Set different font sizes for all fonts, H1-H6 headings, body, footer, header, dropdown, etc. Set font size, line height, font weight for each font type. Unlimited backgrounds for boxed and wide mode. Choose color of upload custom background image. Full width sections also allow background images with parallax or video. Page title bar background or custom bar title background. 18 different header designs / layouts. Choose what to display in the top bar. Menu compatible with icons and widgets. Sticky header and transparent header. Change colors for all the elements you see in the header. Easily change header font size and drop down font size. Enable or disable the page title in a single click. Set custom height for the title bar, use color of custom image for background. Option to hide breadcrumbs for each page. 1 – 4 colums, insert any number of widgets in each column. Control footer background and text color in theme options. Enable / disable footer bottom bar. Choose what to show in the footer bottom bar. Customize footer bottom bar background and text color from theme options.